How is sleep measured in the first place? To understand the premise of these apps, we must first understand how scientists quantify sleep: polysomnography. 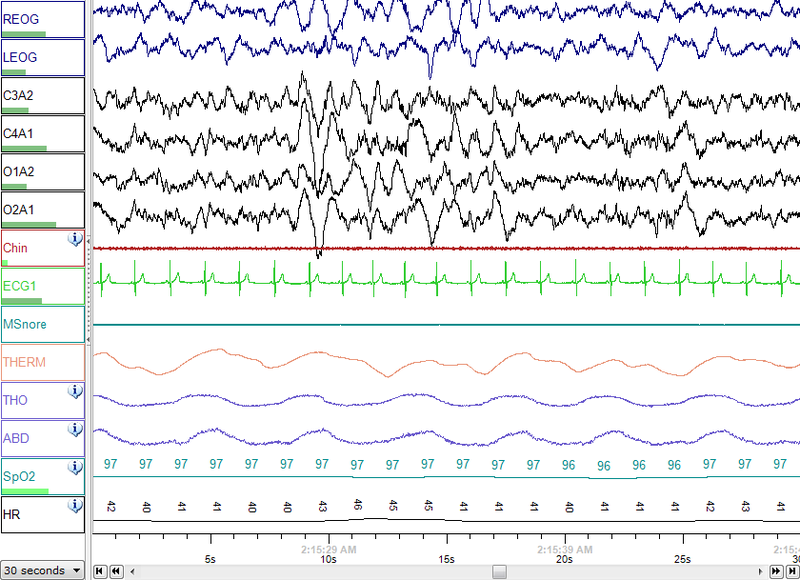 Polysomnography (poly=”many,” somnus=”sleep,” graphein=”to write”) comprises a series of electrodes (the electroencephalogram, or EEG) designed to measure cortical brain activity. These electrodes pick up voltage fluctuations in ionic current flow across the particular area of neurons below which each electrode is strategically placed. These fluctuations appear like waves on the computer monitor. In addition to the EEG, various sensors are also placed on the body to detect breathing and movement throughout the night. The American Academy of Sleep Medicine currently recognizes four (formerly five) stages of sleep: three non-rapid eye movement (NREM) stages (N1, N2, N3), and REM. 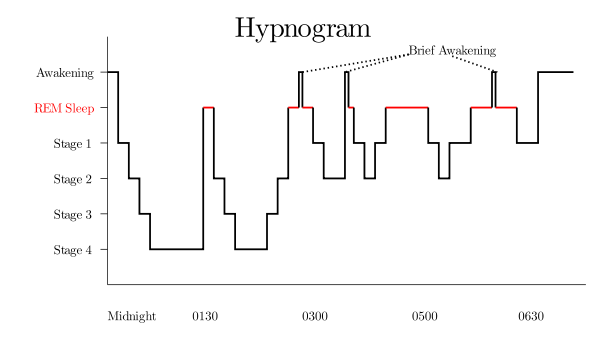 As an individual proceeds throughout the night, several characteristic features define each stage on the polysomnogram. Notably, from N1 to N3, the waves we see on the computer become larger in amplitude and lower in frequency, eventually resulting in that “slow-wave sleep” (deep sleep) from which we so want to avoid a jarring wake-up call. About every 90 minutes, we slip into REM, which is characterized by EEG waves that resemble wake, whole-body muscle paralysis, and—yes—rapid movement of the eyes. …which is exactly what apps like Sleep Cycle and Sleep Time attempt to create for you. Except that, without precise electrophysiological measures, the apps’ premise is fundamentally flawed. For most of us, it’s easy to fall back to sleep despite these brief arousals, as the hypnogram shows. But your phone’s motion sensor doesn’t know that. 2. 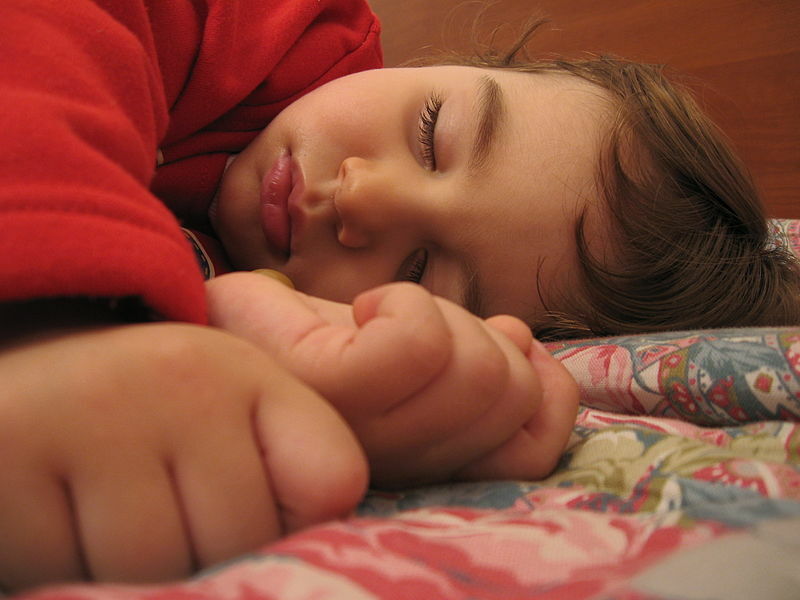 Sleep cycles are not perfect 90-minute periods. A 1979 study by Feinberg and Floyd reported that, for the majority of subjects (around 70%), sleep cycles were up to 20 minutes longer or shorter than average. For the remaining 30% of subjects, the extremes were even greater. Furthermore, it’s been well-established that slow-wave sleep dominates the first half of the night, while REM tends to be longer the second half. No two sleep cycles are the same length. 3. How you sleep tonight depends on how you slept last night. Sleep deprivation studies, by my lab and others, have consistently demonstrated that slow-wave sleep (N3) is compensatory. That is, if you typically have about 100 minutes of slow-wave sleep on an average night but then completely miss a night of sleep, you’ll almost certainly have around 200 minutes of slow-wave sleep on your recovery night. It’s actually kind of funny how perfect it is. But think about the last time you had an exam or stressful event the next day and how long you were up ruminating about it. Or that time you went to bed two hours earlier because you had to get up early the next morning, and you just couldn’t fall asleep. Or that other time when, after a long day, you can’t even remember your head hitting the pillow before you were out. Best advice? Don’t worry about getting the “perfect” or optimal number of sleep cycles, per se. Don’t even worry about waking up during the “right” stage of sleep. Research by Jewett and colleagues at Harvard suggests that the stage of sleep we’ve been woken from, despite what we perceive as sleep inertia, does not actually have an impact on cognitive performance. Rather, focus on keeping a regular schedule—your body likes predictability, which explains those creepy mornings you’ll find yourself waking up just minutes before your alarm is scheduled to go off. So while sleep-tracking apps are certainly not the most accurate way to assess your sleep, the upside is that people are becoming more attuned to their own circadian rhythms and the effect of sleep (or lack thereof) on their bodies. This is great news, as sleep is arguably one of the most (if not the most) important health factor that can be altered. 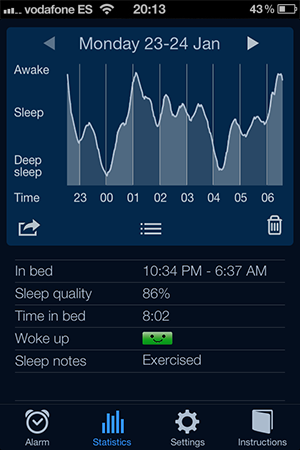 Do you use a sleep-tracking app? How accurate do you think it is? If you use the alarm feature, do you wake up more refreshed using the app? If you’ve never tried it before, are you more or less willing to try an app after reading this post? Czeisler, CA et al. 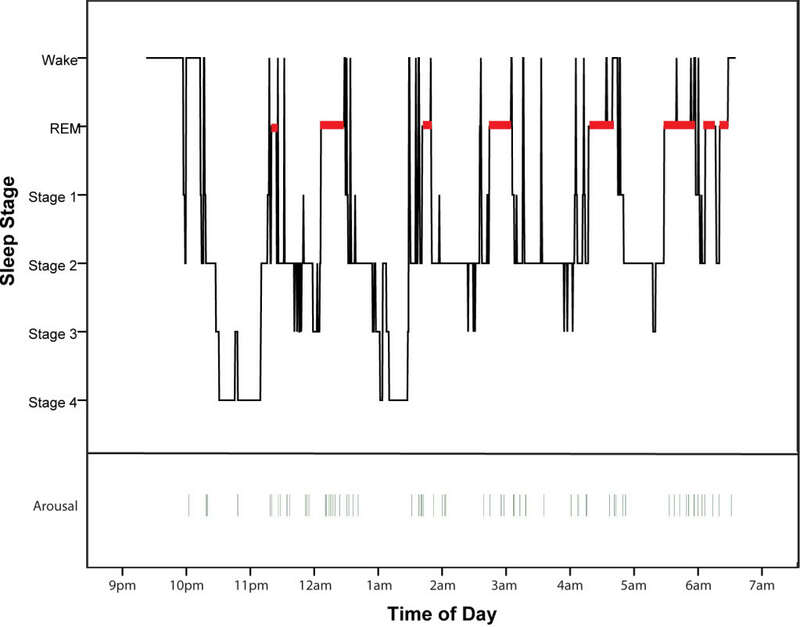 Human sleep: Its duration and organization depend on its circadian phase. Science 210(4475): 1264-1267 (1980). Feinberg, I and Floyd, TC. Systematic trends across the night in human sleep cycles. Psychophys 16(3): 283-291 (1979). Jewett, ME et al. Time course of sleep inertia dissipation in human performance and alertness. J Sleep Res 8(1): 1-8 (1999). Image credit: Sleep Cycle, My Aspergers Child, NascarEd, RazerM, Alessandro Zangrilli (via Wikimedia Commons), Karyn O’Keeffe (via Photobucket). This piece was originally published on Gaines, on Brains.